There’s a lot of fun things to do in Boston this weekend for cheap or for free, including a lot of Halloween events! As always, please let me know in the comments below if I missed one of your favorite free events this weekend. 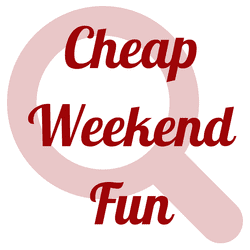 Also, don’t forget to check the blog in the upcoming days for even more cheap and fun Halloween events in the Greater Boston area! Boston Book Festival: October 23-24, 2015 in Copley Square. Enjoy this free festival that promotes a culture of reading and ideas and enhances the vibrancy of Boston. Boston Veg Food Fest: October 24-25, 2015 at the Reggie Lewis Athletic Center. Enjoy free food samples, speaker series and much more thanks to The Boston Vegetarian Society. FallFest: Sunday, October 25, 2015 at Assembly Row in Somerville. Enjoy trick-or-treating, crafts, family activities, music and much more with this fun fall event! Halloween Party at Castle Island: October 24-25, 2015 from 12-4pm at Fort Independence. There will be a lot of fun on Castle Island with a haunted castle, storytellers, magicians, refreshments, and more! Free, but children MUST be accompanied by an adult. Weather permitting. Urban Pumpkin Patch: Sunday, October 25, 2015 at Boston Public Market from 10-5pm. Create a pumpkin patch with Boston Public Market and enjoy treats, crafts and more! Halloween at South End Open Market @ SoWa: Sunday, October 25, 2015 in the South End. Enjoy the last outdoor open market of the season with a Halloween theme! Pru Boo: October 25, 2015 from 11-1pm at the Prudential Center. Wear your cutest costume and trick or treat for charity. Face painting, kid concert, pumpkin decorating and more. $4 donation towards nonprofit partner. Trick-Or-Treat At The Street: October 24, 2015 from 1-4pm at The Street in Chestnut Hill. Enjoy a fun afternoon for Halloween Festivities with trick-or-treating, crafts, music, free treats and more for everyone in the family! Trick or Treat to the Beat: Saturday, October 24, 2015 from 6:30-8pm at the New School of Music in Cambridge. Enjoy family friendly musical activities for all ages! Free Boston Duck Tours: Sunday, October 25, 2015. Any child from age 3-11 that dresses in a Halloween Costume will receive free admission with a paid adult ticket.